A fast, professional, and elegant solution to the tired email newsletter, our personalized, high-quality newsletter goes out to your contact list each month. Featuring engaging video vignettes, motivating content, and related articles, the Newsletter is a fresh new marketing campaign to help you keep a steady supply of leads rolling in. Each newsletter includes interesting articles on timely topics and are personalized with your DBA. Build credibility and generate new referrals. 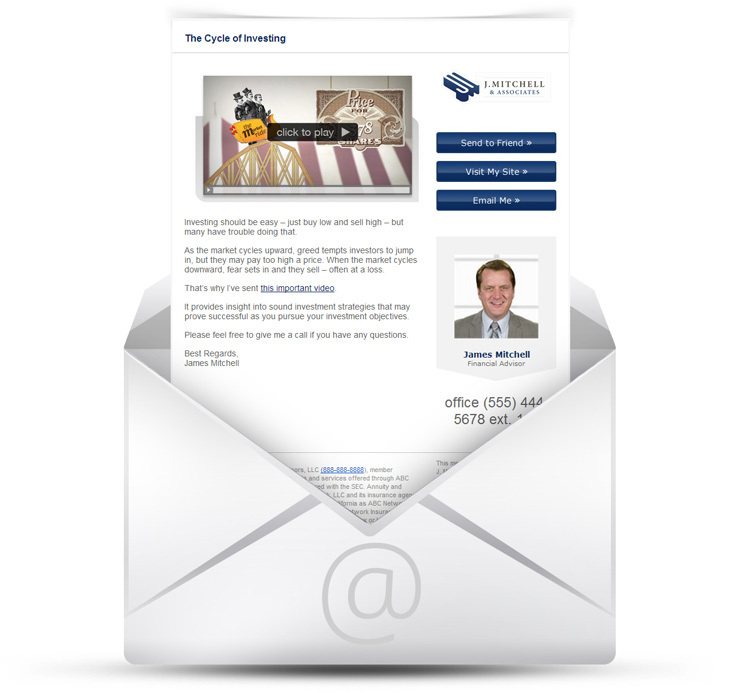 Newsletters are optimized for viewing on multiple platforms: PCs, Macs, tablets, and smart phones. Easily sharable. And motivating. Track results through metrics reports, so you’ll always know how your messages perform and can follow up with clients.